Special discounts are available on quantity purchases by schools, corporations, associations, and others. For details, please contact us. Paperback comes with 1 DVD, 2 audio CDs and Hanyu Pinyin flashcards; in traditional and simplified Chinese characters with English translation. This book is written for beginners 5 years old and up. 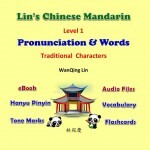 Introduces Chinese Mandarin pronunciation – Hanyu Pinyin in detail. When students finish with this book, they learn the complete Chinese Mandarin pronunciation – Hanyu Pinyin and tones, plus 427-vocabulary power. 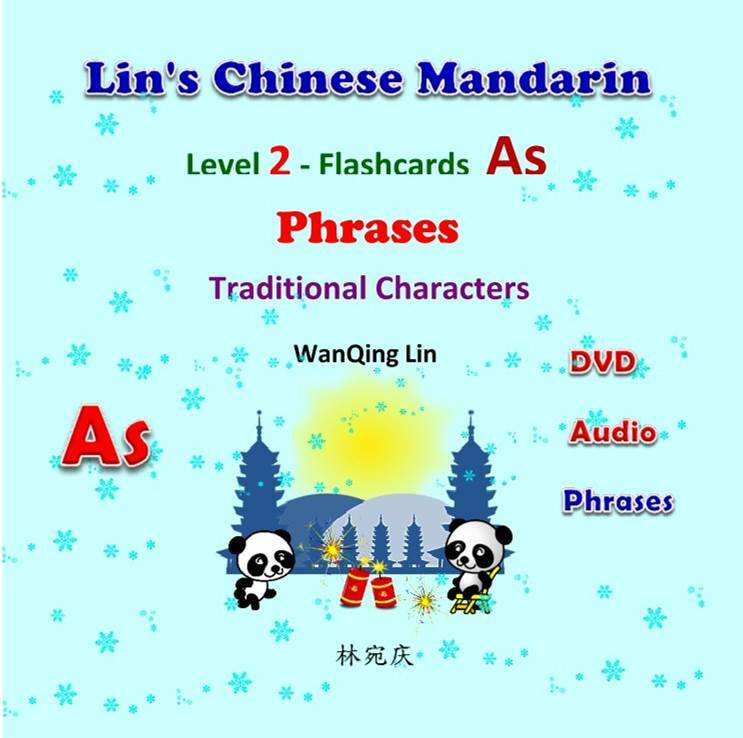 The 2 CDs guide students to learn native Chinese pronunciation and demonstrate important Chinese tones. The DVD shows all Pinyin for students to practice and quiz themselves. The book explains in detail how the Hanyu Pinyin is formed, combines, and pronounced. In addition to English translation, the book illustrated with diagrams and pictures to help learners to understand the Pinyin combinations, rules and the introduced vocabulary. A chart of the Pinyin and words and the Hanyu Pinyin system are also included. 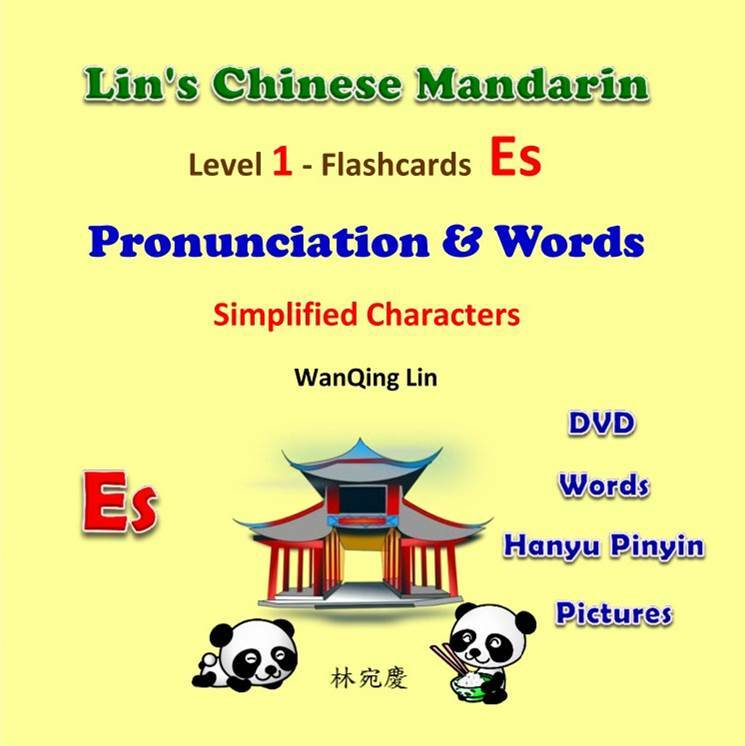 Ebook with audio files and Hanyu Pinyin flashcards in the back; in Chinese traditional and simplified characters with English translation. This book is written for beginners 5 years old and up. 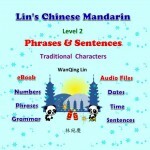 Introduces Chinese Mandarin pronunciation – Hanyu Pinyin in detail. When students finish with this book, they learn the complete Chinese Mandarin pronunciation – Hanyu Pinyin and tones, plus 427-vocabulary power. 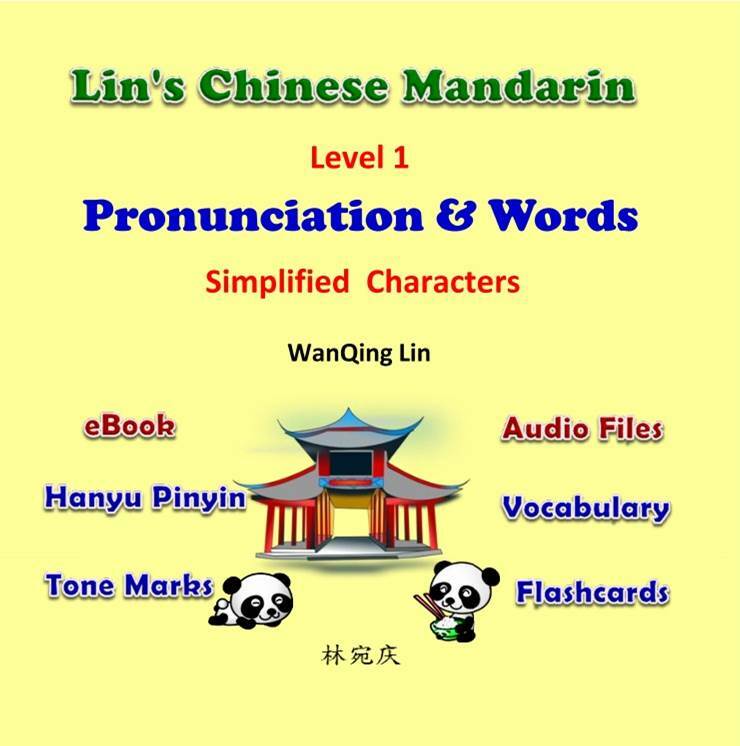 The audio files guide students to learn native Chinese pronunciation and demonstrate important Chinese tones. The book explains in detail how the Hanyu Pinyin is formed, combines, and pronounced. 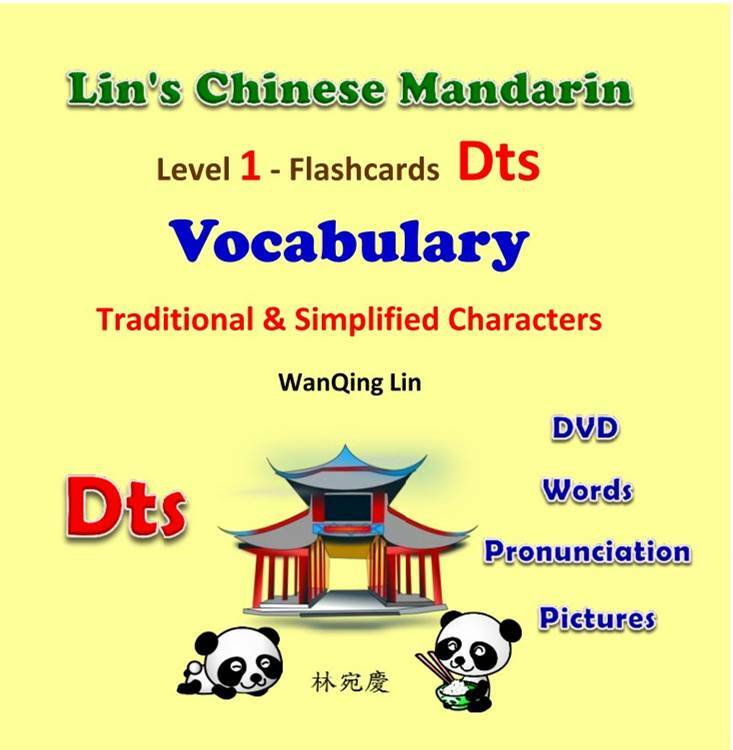 In addition to English translation, the book illustrated with diagrams and pictures to help learners to understand the Pinyin combinations, rules and the introduced vocabulary. A chart of the Pinyin and words and the Hanyu Pinyin system are also included. Paperback comes with 1 DVD, 2 audio CDs and Hanyu Pinyin flashcards; in traditional Chinese characters with English translation. This book is written for beginners 5 years old and up. 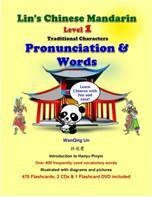 Introduces Chinese Mandarin pronunciation – Hanyu Pinyin in detail. When students finish with this book, they learn the complete Chinese Mandarin pronunciation – Hanyu Pinyin and tones, plus 427-vocabulary power. The 2 CDs guide students to learn native Chinese pronunciation and demonstrate important Chinese tones. 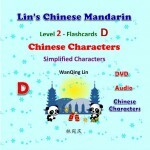 The DVD shows all Pinyin for students to practice and quiz themselves. The book explains in detail how the Hanyu Pinyin is formed, combines, and pronounced. 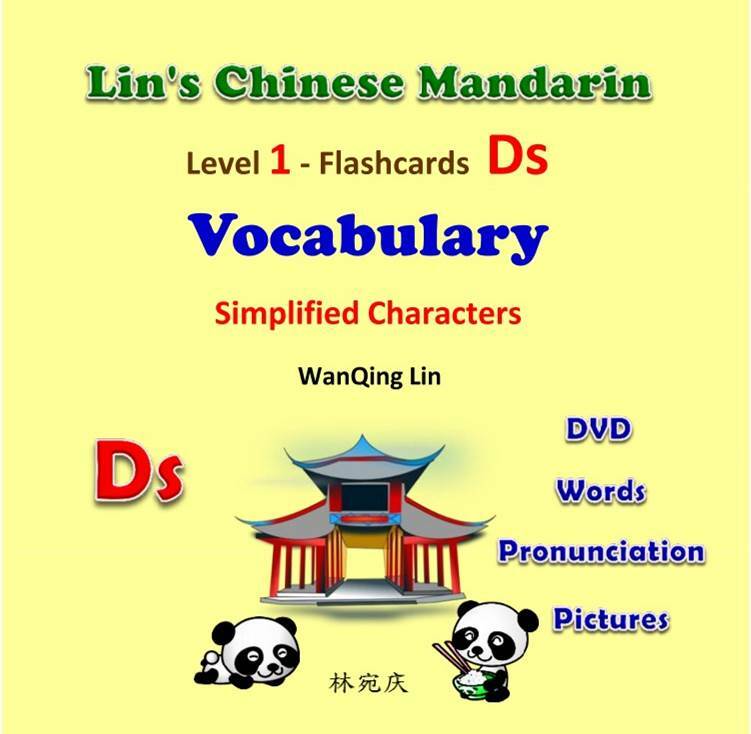 In addition to English translation, the book illustrated with diagrams and pictures to help learners to understand the Pinyin combinations, rules and the introduced vocabulary. A chart of the Pinyin and words and the Hanyu Pinyin system are also included. 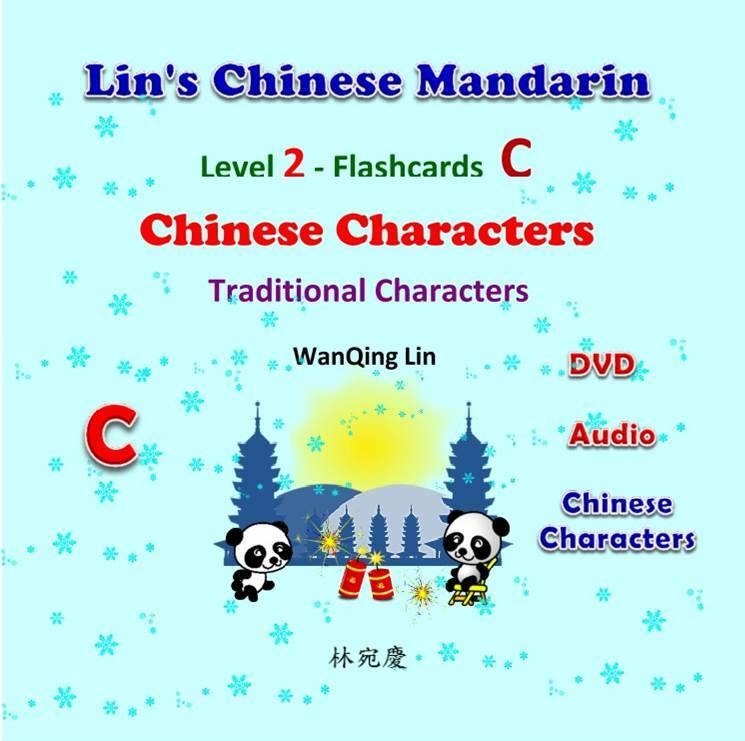 Ebook with audio files and Hanyu Pinyin flashcards in the back; in Chinese traditional characters with English translation. This book is written for beginners 5 years old and up. 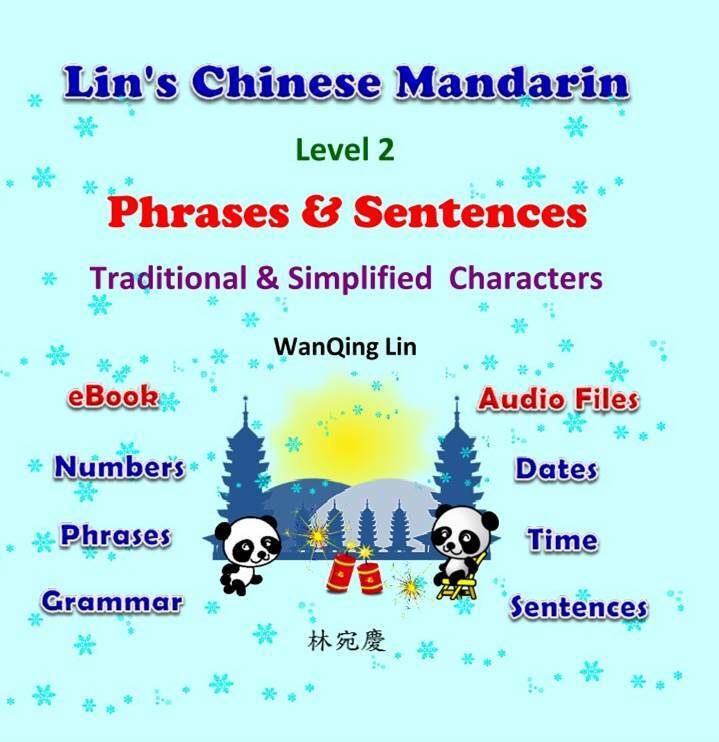 Introduces Chinese Mandarin pronunciation – Hanyu Pinyin in detail. When students finish this book, they learn the complete Chinese Mandarin pronunciation – Hanyu Pinyin and tones, plus 427-vocabulary power. 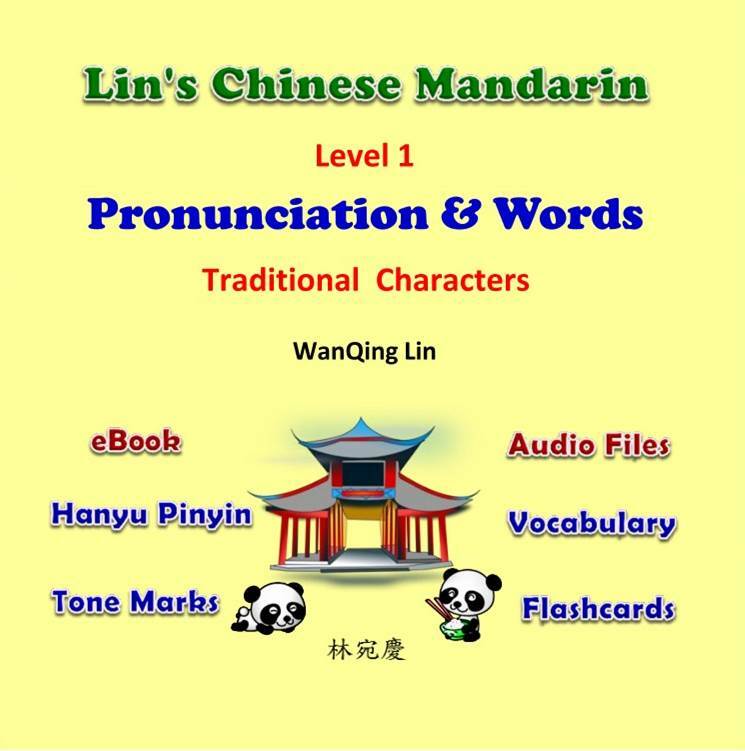 The audio files guide students to learn native Chinese pronunciation and demonstrate important Chinese tones. The book explains in detail how the Hanyu Pinyin is formed, combines, and pronounced. 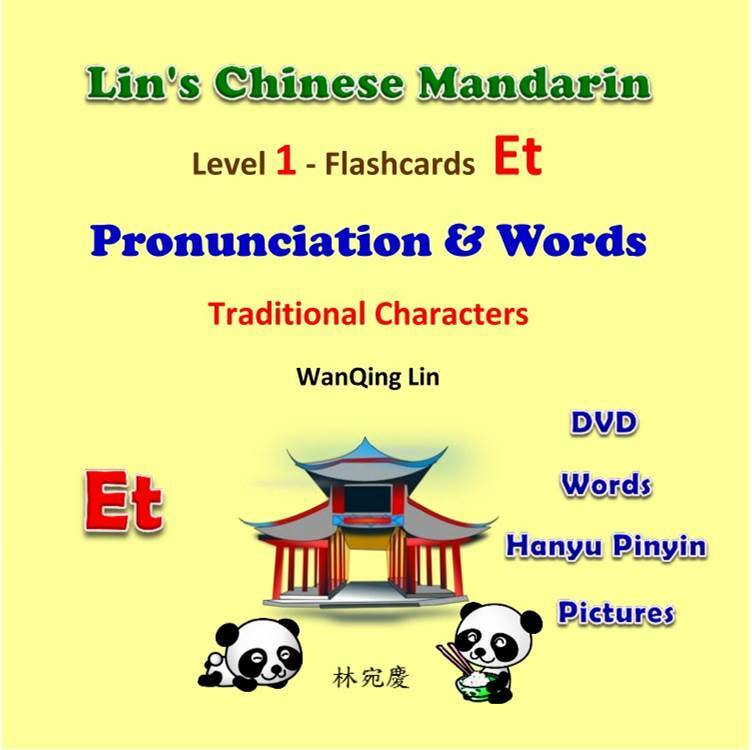 In addition to English translation, the book illustrated with diagrams and pictures to help learners to understand the Pinyin combinations, rules and the introduced vocabulary. A chart of the Pinyin and words and the Hanyu Pinyin system are also included. Paperback comes with 1 DVD, 2 audio CDs and Hanyu Pinyin flashcards; in simplified Chinese characters with English translation. This book is written for beginners 5 years old and up. 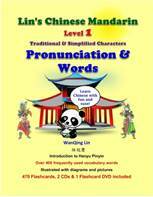 Introduces Chinese Mandarin pronunciation – Hanyu Pinyin in detail. When students finish with this book, they learn the complete Chinese Mandarin pronunciation – Hanyu Pinyin, tones, and 427-vocabulary. The 2 CDs guide students to learn native Chinese pronunciation and demonstrate important Chinese tones. The DVD shows all Pinyin for students to practice and quiz themselves. The book explains in detail how the Hanyu Pinyin is formed, combines, and pronounced. In addition to English translation, the book illustrated with diagrams and pictures to help learners to understand the Pinyin combinations, rules and the introduced vocabulary. A chart of the Pinyin and words and the Hanyu Pinyin system are also included. Ebook with audio files and Hanyu Pinyin flashcards in the back; in Chinese simplified characters with English translation. This book is written for beginners 5 years old and up. 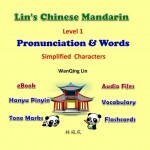 Introduces Chinese Mandarin pronunciation – Hanyu Pinyin in detail. When students finish this book, they learn the complete Chinese Mandarin pronunciation – Hanyu Pinyin and tones, plus 427-vocabulary power. 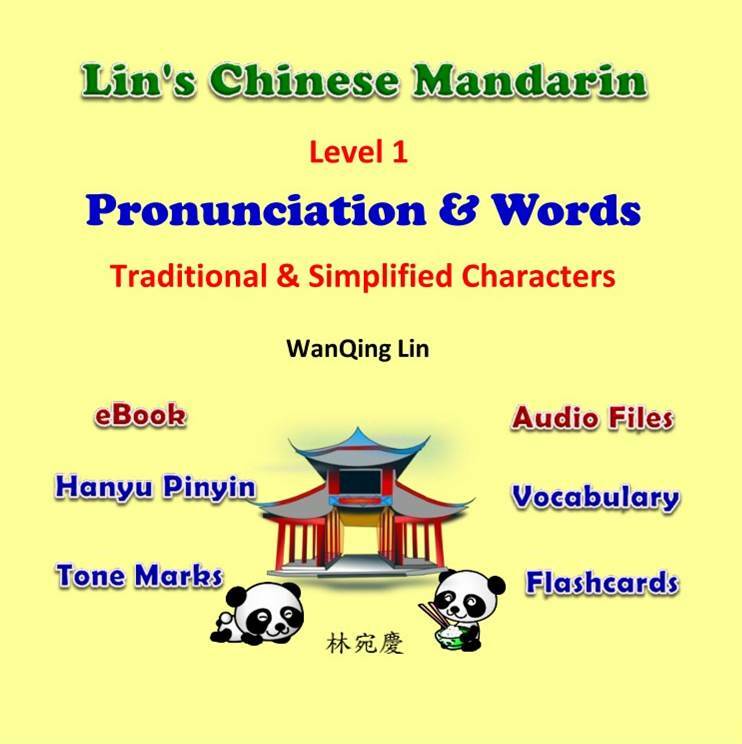 The audio files guide students to learn native Chinese pronunciation and demonstrate important Chinese tones. The book explains in detail how the Hanyu Pinyin is formed, combines, and pronounced. In addition to English translation, the book illustrated with diagrams and pictures to help learners to understand the Pinyin combinations, rules and the introduced vocabulary. A chart of the Pinyin and words and the Hanyu Pinyin system are also included. 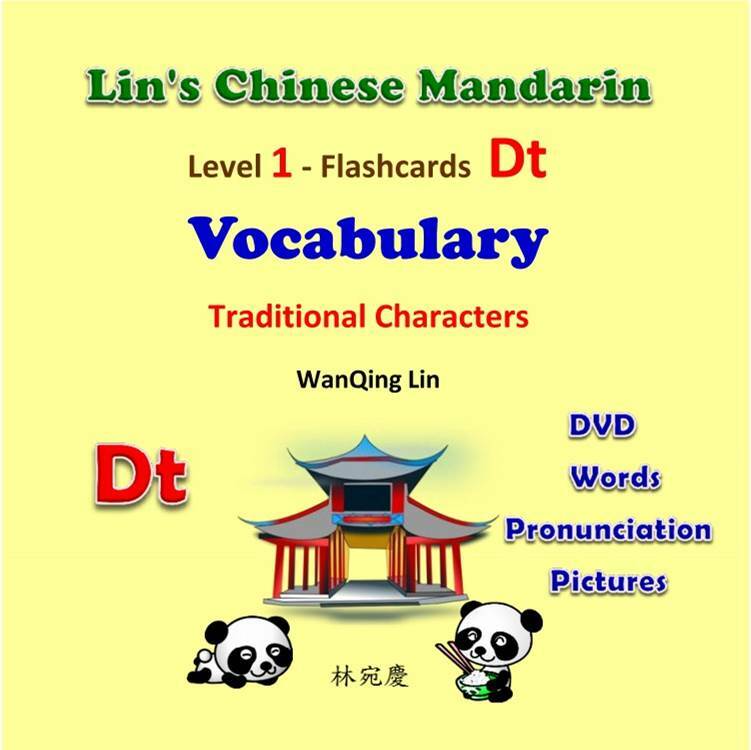 Paperback comes with 1 vocabulary DVD; workbook for Lin’s Chinese Mandarin – Level 1 – Pronunciation & Words – Textbook -Traditional & Simplified Characters. This workbook is written for beginners 5 year-old and up learners to practice Hanyu Pinyin in writing and review the related words learned from the textbook. When students finish this book they become well-versed with the Chinese pronunciation system – Hanyu Pinyin, 427 related words, and basic Chinese character writing. 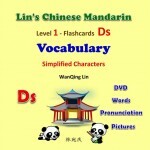 The vocabulary flashcards DVD (95 minutes) is to help students to practice, review and quiz themselves. The related coloring pictures are included. 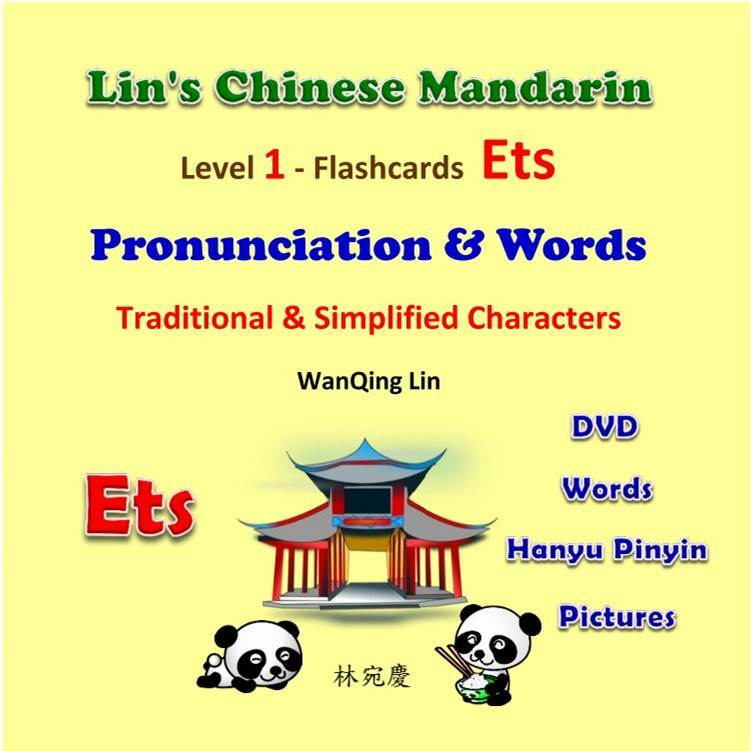 Paperback, comes with 1 vocabulary DVD; workbook for Lin’s Chinese Mandarin – Level 1 – Pronunciation & Words – Textbook – Traditional Characters. 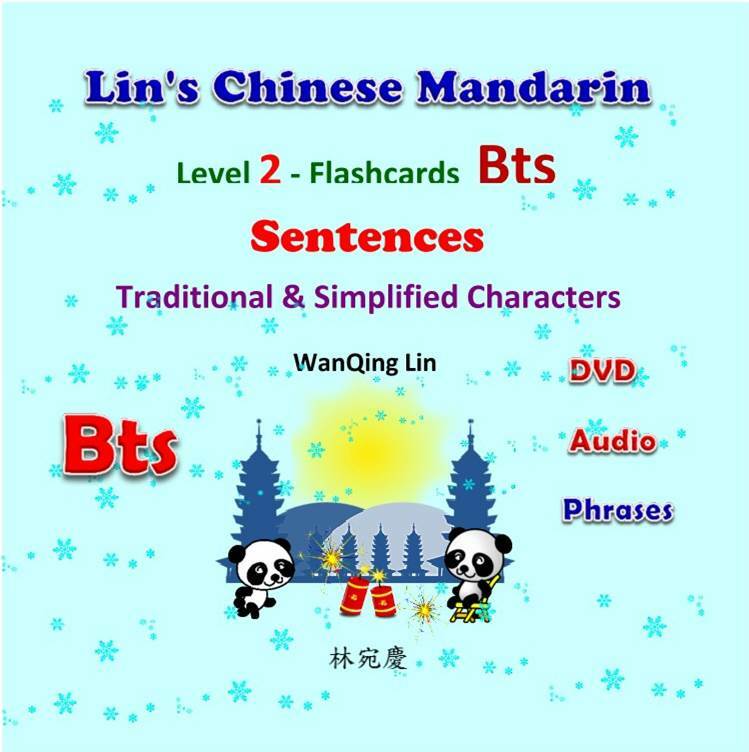 This workbook is written for beginners 5 year-old and up learners to practice Hanyu Pinyin in writing and review the related words learned from Lin’s Chinese Mandarin – Level 1 – Textbook. When students finish this book they become well-versed with the Chinese pronunciation system – Hanyu Pinyin, 427 related words, and basic Chinese character writing. 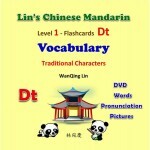 The vocabulary flashcards DVD (95 minutes) is to help students to practice, review and quiz themselves. The related coloring pictures are included. Paperback, comes with 1 vocabulary DVD; workbook for Lin’s Chinese Mandarin – Level 1 – Pronunciation & Words – Textbook – Simplified Characters. 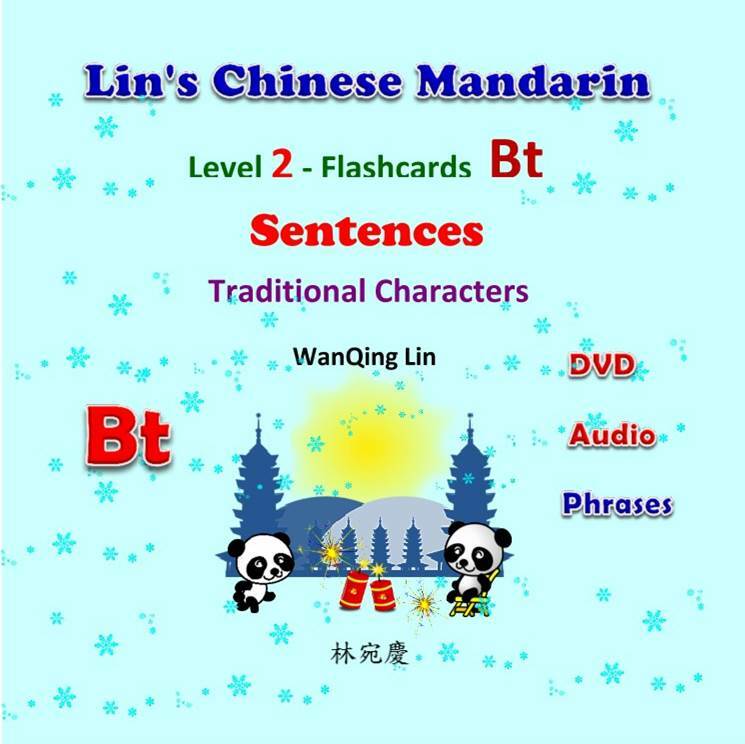 This workbook is written for beginners 5 year-old and up learners to practice Hanyu Pinyin in writing and review the related words learned from Lin’s Chinese Mandarin – Level 1 – Textbook. When students finish this book they become well-versed with the Chinese pronunciation system – Hanyu Pinyin, 427 related words, and basic Chinese character writing. 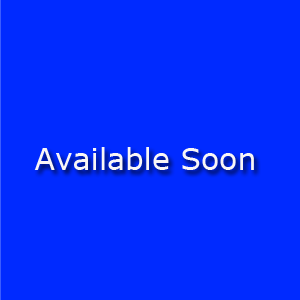 The vocabulary flashcards DVD (95 minutes) is to help students to practice, review and quiz themselves. The related coloring pictures are included. Study Lin’s Chinese Mandarin Series at home and you can speak Chinese!!! 177 Tone Mark Rules with audio, introduces Chinese Tone Mark Rules. 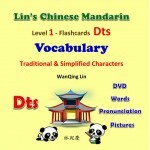 459 Vocabulary flashcards in traditional & simplified characters, 97 minutes. 566 flashcards with audio, 105 minutes; demonstrate Chinese Hanyu Pinyin structures, related words, Chinese characters, English translation, and pictures. 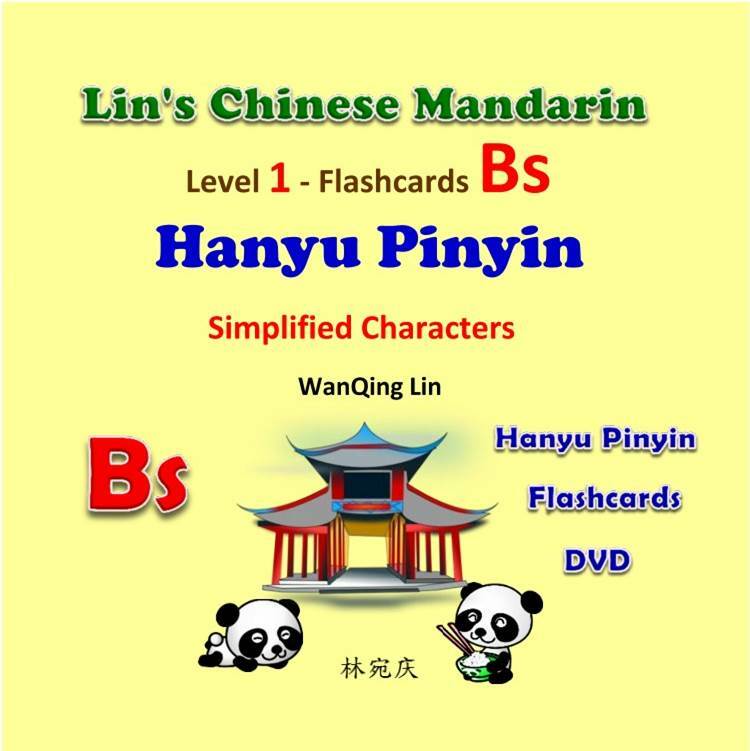 653 Chinese Pronunciation Rules flashcards; Introduce Hanyu Pinyin rules in detail; show examples, colorful pictures, step by step, demonstrate how the Pinyin evolved, changed, and formed. Paperback with 2 CDs and phrase flashcards in the back. 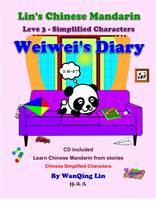 This book is written for 5 year-old and up learners to learn Chinese Mandarin. Students learn more than 1000 sentence structure variation examples, plus date, numbers, grammar and Chinese characters with stroke order. After students finish this book, they are ready to read stories, have basic daily life conversation ability and know Chinese characters. The Chinese characters show in both traditional and simplified characters with English translation. There are pictures for each sentence to demonstrate the meaning of the sentence. 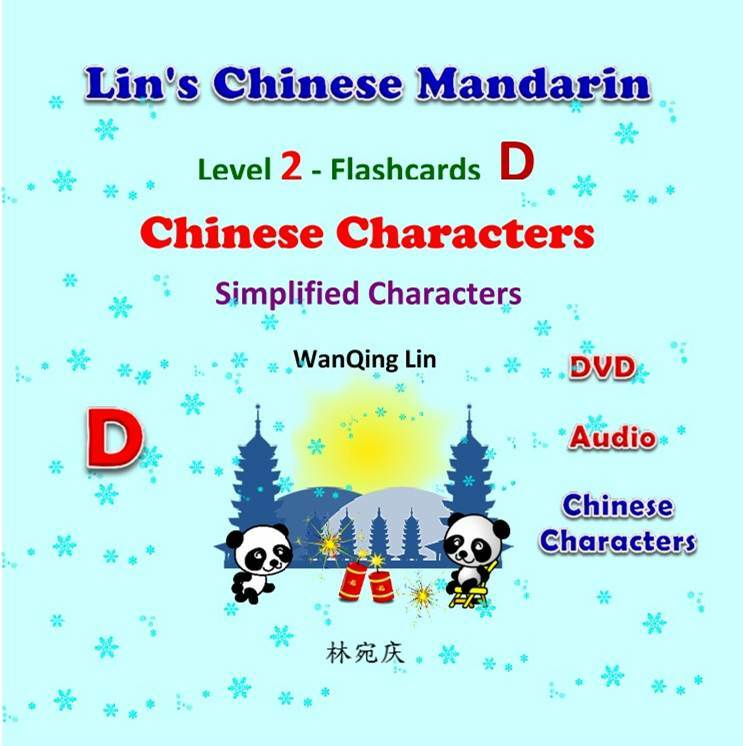 Ebook with audio files and phrase flashcards in the back; Chinese traditional and simplified characters. This book is written for 5 year-old and up learners to learn Chinese Mandarin. Students learn more than 1000 sentence structure variation examples, plus phrases, date, numbers, and grammar. After students finish this book, they are ready to read stories and have basic daily life conversation ability. The phrases and sentences show in both traditional and simplified characters with English translation. There are pictures for each sentence to demonstrate the meaning of the sentence. Paperback with 2 CDs and phrase flashcards in the back. This book is written for 5 year-old and up learners to learn Chinese Mandarin. Students learn more than 1000 sentence structure variation examples, plus date, numbers, grammar and Chinese characters with stroke order. After students finish this book, they are ready to read stories, have basic daily life conversation ability and know Chinese characters. The Chinese characters show in simplified characters with English translation. There are pictures for each sentence to demonstrate the meaning of the sentence. 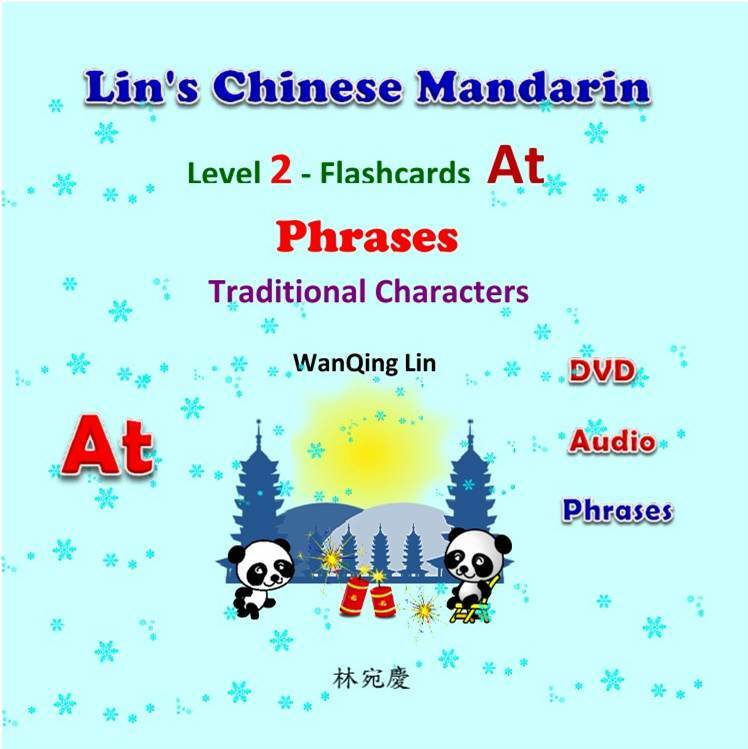 Ebook with audio files and phrase flashcards in the back; Chinese simplified characters. This book is written for 5 year-old and up learners to learn Chinese Mandarin. Students learn more than 1000 sentence structure variation examples, plus phrases, date, numbers, and grammar. After students finish this book, they are ready to read stories and have basic daily life conversation ability. 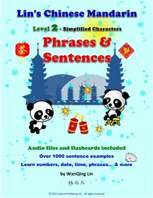 The phrases and sentences show in Chinese simplified characters with English translation. There are pictures for each sentence to demonstrate the meaning of the sentence. 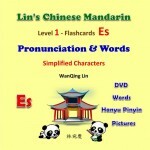 Ebook with audio files; in Chinese simplified characters. This book is written for 5 year-old and up learners to learn Chinese Mandarin. Students learn Chinese Mandarin from reading the summer diary of a boy named Weiwei. 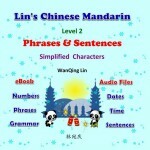 This is Level 3 of Lin’s Chinese Mandarin Learning Series. 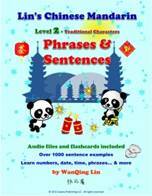 The stories apply all the learned Hanyu Pinyin and words from Level 1, and phrases and sentences from Level 2 to tell stories in Level 3. This storybook is for learners to review and establish a deeper understanding on how to use their learned knowledge. Students also learn new words, phrases and sentences from this story telling book to prepare to go to a higher level of Chinese Mandarin. Paperback with one DVD. Workbook for the Level 2. 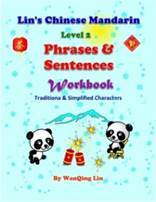 Practice sentences, phrases, Hanyu Pinyin, tones, and Chinese character writing. Level 2 learning videos: help you to practice and quiz yourself ! 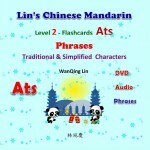 Study Lin’s Chinese Mandarin at home and you can speak Chinese!!! 145 Phrase flashcards with Hanyu Pinyin, English translation and clip art pictures. 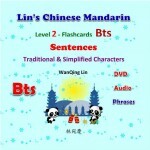 470 Sentence flashcards with audio Hanyu Pinyin, English translation and clip art pictures. 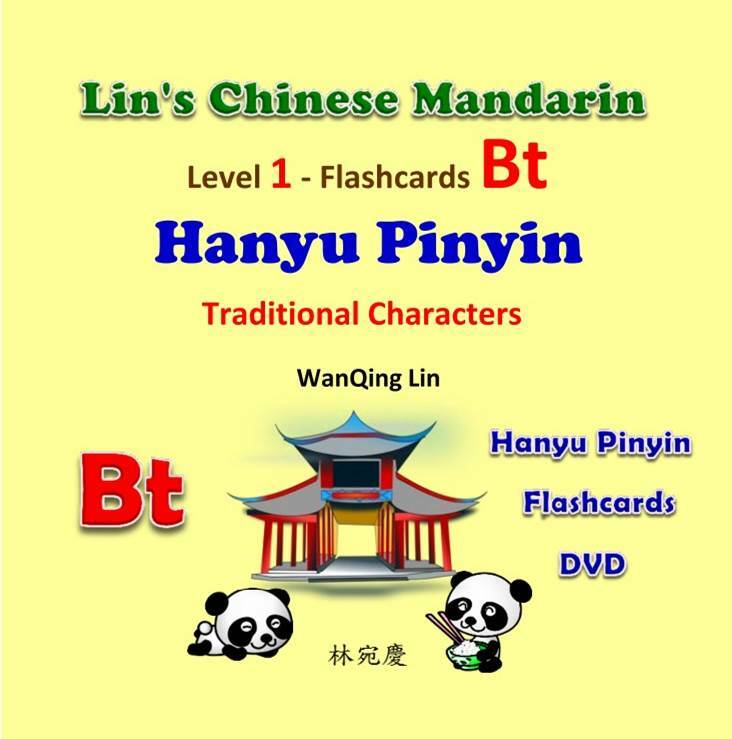 460 Chinese traditional character flashcards with audio, small colorful clipart pictures, with Hanyu Pinyin and English translation. 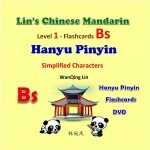 456 Chinese simplified character flashcards with audio; with Hanyu Pinyin and English translation. 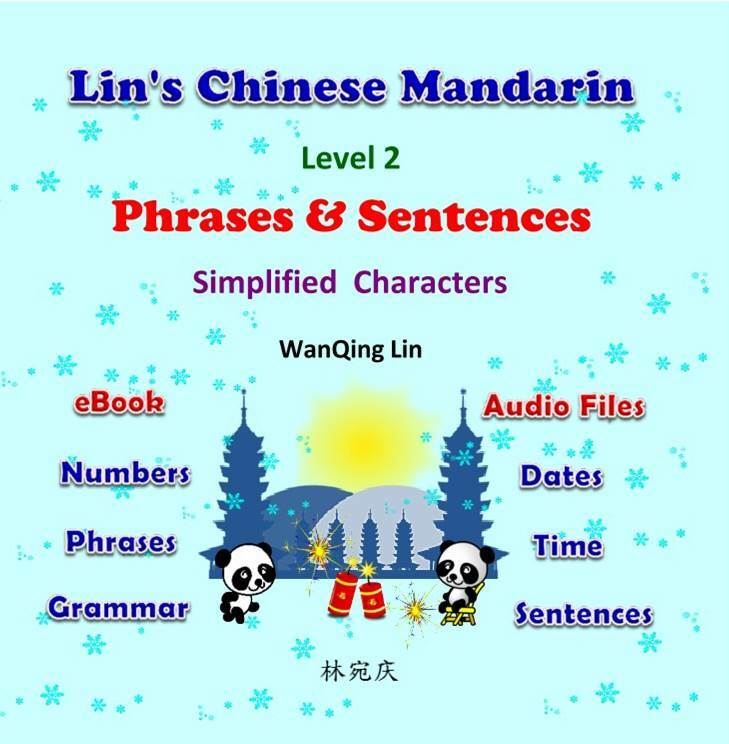 This book reinforces, in stories, the applied phrases and sentences learned in level two: Lin’ Chinese Mandarin – Phrases & Sentences and the vocabulary learned in level one: Lin’s Chinese Mandarin – Pronunciation & Words. Book three allows you to practice the knowledge you gained in books one and two in stories. In this book, you can read Chinese while still utilizing the knowledge that you gained from the last two books, therefore allowing the storie to be easily understood. By applying the knowledge from books one and two in stories, you will gain a deeper understanding of how words and phrases are used in the Chinese language and have a basic understanding of the structure of Chinese Mandarin. Ebook with audio files; in Chinese traditional characters. This book is written for 5 year-old and up learners to learn Chinese Mandarin. Students learn Chinese Mandarin from reading the summer diary of a boy named Weiwei. 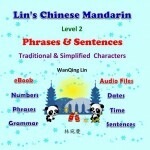 This is Level 3 of Lin’s Chinese Mandarin Learning Series. 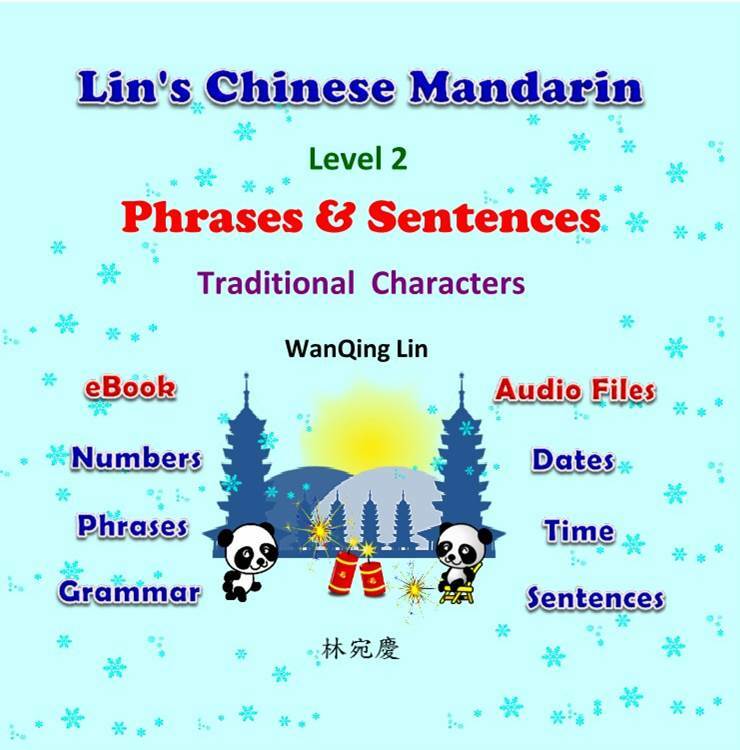 The stories apply all the learned Hanyu Pinyin and words from Level 1, and phrases and sentences from Level 2 to tell stories in Level 3. This storybook is for learners to review and establish a deeper understanding on how to use their learned knowledge. Students also learn new words, phrases and sentences from this story telling book to prepare to go to a higher level of Chinese Mandarin. 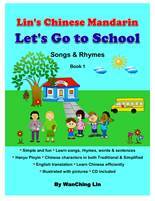 Learn Chinese Mandarin through children’s songs and rhymes. 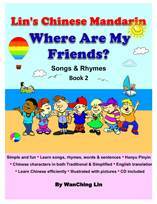 Songs & Rhymes – Book 2 – Where Are My Friends? Paperback, 263 pages, with Hanyu Pinyin flashcards; in traditional and simplified Chinese characters with English translation. This book is written for mature learners. 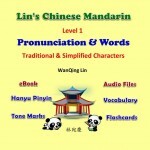 Introduces Chinese Mandarin pronunciation – Hanyu Pinyin in detail. When students finish with this book, they learn the complete Chinese Mandarin pronunciation – Hanyu Pinyin and tones, plus over 1,000 frequently used vocabulary words. 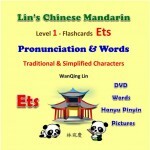 guide students to learn native Chinese pronunciation and demonstrate important Chinese tones. The book explains in detail how the Hanyu Pinyin is formed, combines, and pronounced. In addition to English translation, the book illustrated with diagrams and pictures to help learners to understand the Pinyin combinations, rules and the introduced vocabulary. 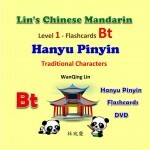 A chart of the Pinyin and words and the Hanyu Pinyin system are also included. 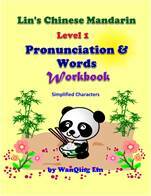 Workbook for Lin’s Chinese Mandarin – for Adult – Level 1 – Pronunciation & Words. In this workbook, you will practice Hanyu Pinyin & words; learn Chinese character stroke order rules and practice Chinese character writing.